This week DCI Executive Director and CEO Dan Acheson will travel to Japan representing Drum Corps International at the Japan Marching Band Association's (JMA) championship competition in Saitama City. Acheson, along with DCI strategic partners Music For All CEO Eric Martin and WGI Sport of the Arts CEO Ron Nankervis, have all been invited by the JMA in an effort to continue to develop and broaden a collaboration and direct strategic partnership between the organizations. As part of the trip, Acheson will meet with JMA leaders, other Asian organization leaders from Thailand, Singapore and Korea, and various band directors to discuss future strategic opportunities. "As we continue the development and rollout of new programs like SoundSport® and DrumLine Battle?„? in the U.S., this trip will be a crucial opportunity for DCI to further develop its international relationships in areas with strong interest and support for the marching arts," Acheson said. "We're always pleased to have the opportunity to visit with our friends in Japan, where many people are engaged in marching music activities and are excited and enthusiastic about Drum Corps International and its member corps." Among the topics for discussion will be the establishment of an international summit of marching music organizations and their leaders that would be hosted in conjunction with the DCI World Championships in Indianapolis. This week's trip will mark Acheson's first visit to Japan in more than a decade, having previously traveled to the country in 1997 and 2002 for earlier JMA events. 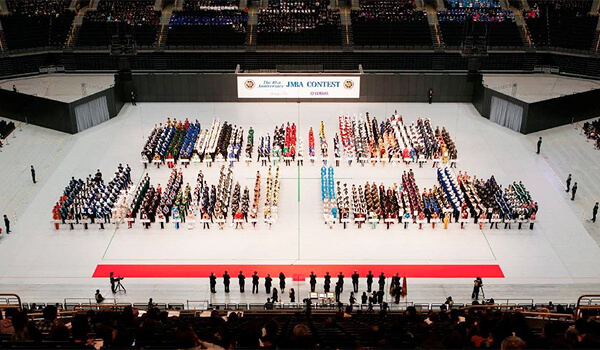 Learn more about the Japan Marching Band Association.